My New Year blog post catch up continues. I’m now working through all the part written posts. I started this last August, it’s only been on hold because I hadn’t embroidered the eyes. That’s been rectified today so I can get it marked off. Sometimes I volunteer to do things without really knowing if I can. 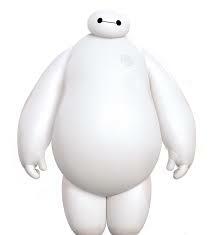 “Sure I can make a Baymax” being a case in point. On the plus side his shape is perfect for amigurumi. As he’s a Disney character I’m making him as a gift only and would state that this pattern is for not for commercial use. I had the majority of a 100g ball of DK cotton – make unknown and will be working with a 3mm crochet hook. fasten off, stuff and use tail to pull opening closed. It was at this point I ran out of cotton….. However after a rummage through my main stash box I found about half a ball left. To make up, sew lightly stuff all parts and sew together as per picture. Using embroidery thread sew in eyes, I used French Knots to make the circles.